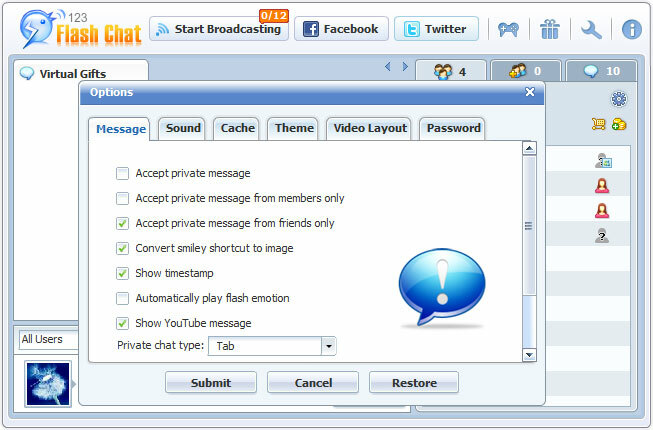 The Option Panel can help chat users to configure their unique chat environment and all these settings will be saved when they are done and applied again when they log in later. Please check User Manual for more details. 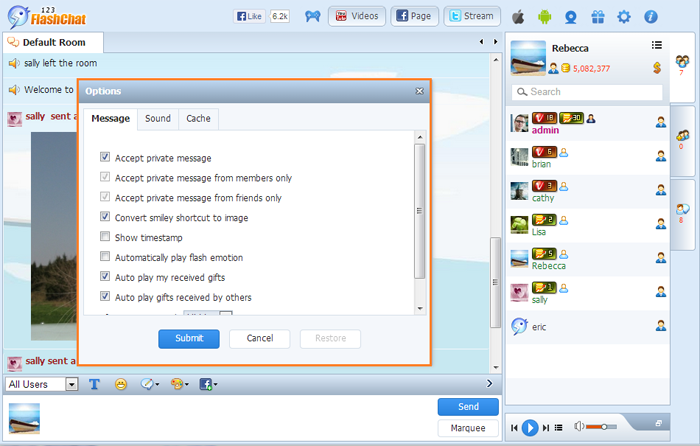 Option panel is available for HTML5 client as well just missing the theme, video layout and password session yet.